Many home consumers don't really need Windows anymore. With so many things being web-based nowadays, it is much wiser to opt for the more secure Linux-based Chrome OS. 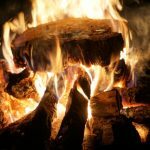 Not satisfied with only using web-based solutions? Chromebooks can now run Android apps too, giving the user a huge library of quality apps. 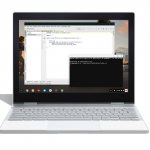 In addition, Google is currently testing the ability to run traditional Linux programs on Chrome OS. Even though the feature is technically in beta, it works wonderfully -- I have successfully installed and used GIMP, for instance. 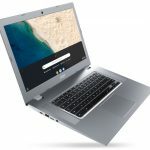 Since more and more consumers are choosing Chrome OS, computer manufacturers are increasingly offering quality Chromebooks. In other words, these laptops are no longer just meant to be low cost. 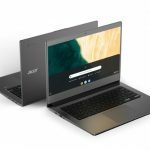 With that said, there is no reason a great Chromebook can't be affordable, and today, Acer unveils a beautiful such product. 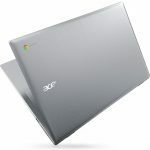 Called "Chromebook 315," the 15.6-inch laptop is powered by AMD's excellent APUs (a combination CPU and GPU). So yes, this is a Chromebook with Radeon graphics! There are three display options from which to choose, with one of them offering touch -- a nice option for Android apps. The top-firing speakers should make it great for consuming media too. Chrome OS has slowly become one of the most promising operating systems. What began life as a "glorified web browser" has grown to also run Android apps and traditional Linux programs. At the same time, Windows 10 has declined in quality, causing many users to lose faith in Microsoft's operating system. 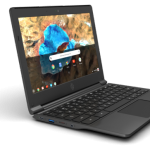 For education in particular, school districts are increasingly turning to Google's Chromebooks rather than devices running Windows 10. Today, ASUS unveils four new Chrome OS devices for the education market. Three of them (C403, C204, and Flip C214) are laptops, with one of them (the Flip) being a convertible -- meaning it can fold into a tablet. In addition, there is a traditional tablet (CT100). While Chrome OS tablets are fairly unproven, the ability to run Android apps makes them quite useful. Google is taking steps to make it easier to not only pair Bluetooth headphones and speakers to your Android phones, but also to make it easier to user the same Bluetooth hardware with multiple devices. 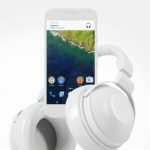 The Fast Pair feature was announced last year, and now Google has teamed up with numerous audio companies to not only improve support, but also to use Google accounts as a means of simplifying the process of using the same headphones and speakers with multiple phones -- and, as of next year, Chromebooks. While many people use Windows 10 every day, I sometimes wonder how many actually enjoy doing so. Look, Microsoft's operating system is very popular, but that could be largely out of habit. The interface is very inconsistent, and with aggressive telemetry, it can feel like you are being spied on too. Computers running Microsoft's OS are prone to malware, and even worse, users could find their important files deleted! Hell, even the Surface hardware feels uninspired these days. 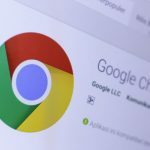 Once people start looking at alternatives, such as the excellent Linux-based Chromebooks, they may wonder why they need Windows 10 at all. 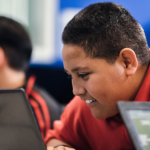 For education in particular, many schools find Chromebooks safer and easier to manage. Not to mention, they can be quite cost effective too. So it should come as no surprise that a major country has chosen Chromebooks over Windows 10 devices for education. What is the country of which I speak? New Zealand. You see, all public schools there now have access to Chrome Education licenses. Windows 10 has been a dumpster fire lately, but thankfully, Microsoft's OS stranglehold on the consumer PC business is dramatically diminishing. These days, many consumers would be better served by purchasing a MacBook or Chromebook rather than a laptop running the less-secure Windows. 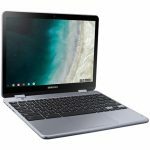 True, Apple's computers are expensive, but luckily, laptops running Chrome OS can be quite affordable. Chromebooks are shockingly capable too -- especially since Android app support was added. Just as Samsung manufactures excellent smartphones running Google's Android operating system, it also makes quality laptops running the search giant's Linux-based Chrome OS. 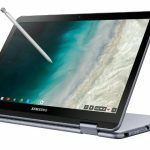 The Samsung Chromebook Plus V2 is one of the nicer Chromebooks, and today, the company unveils a new variant. The hardware stays the same, except for one addition -- LTE compatibility. In other words, the Samsung Chromebook Plus V2 (LTE), as it is called, is fully functional without Wi-Fi -- just add a mobile data plan! The appearance earlier in the year of a new project called Campfire showed that Google was working on bringing Windows 10 support to Pixelbooks. But now it seems that the option to dual boot Chrome OS and Windows 10 could spread to a wider range of Chromebooks. Google is a big supporter and user of Linux. Android, for instance, is the most popular Linux-based distribution in the world. Mobile aside, the search giant also leverages the open source kernel for its desktop operating system -- Chrome OS. While some Linux purists decry calling Google's operating systems "Linux," it simply cannot be denied. They are Linux. I can understand some people suggesting traditional Linux distributions like Ubuntu or Fedora, but Chrome OS -- and the Chromebooks on which it runs -- is arguably more secure while also being easier to use. If I had to choose one operating system for accessing bank websites, for instance, I'd choose Chrome OS over any other. 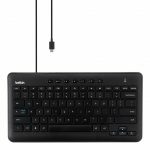 Unfortunately, its limited nature -- which makes it secure and easy to use -- also hinders power users. Sometimes a web or Android app just won't cut it. 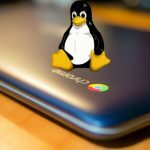 Well, folks, thankfully the rumors were true -- traditional Linux programs are coming to Chrome OS!